Threatening Weather Shortens Day But Does Not Shorten Fish! On Wed., Aug. 8th, the Buttingol party chartered the Milky Way for a full day of fishing. But with the weather looking stormy, the charter was shortened to a half day of fishing. In spite of the shortened day, this fishing crew made up of Roger, Luke, Dean, Tom and Lawrence were kept busy catching lots of fish! They hauled in 12 Lake Trout, 3 Brown Trout along with a good eating Skipper Salmon! On Wed., Aug. 8th, the Buttingol party chartered the Milky Way for a full day of fishing. 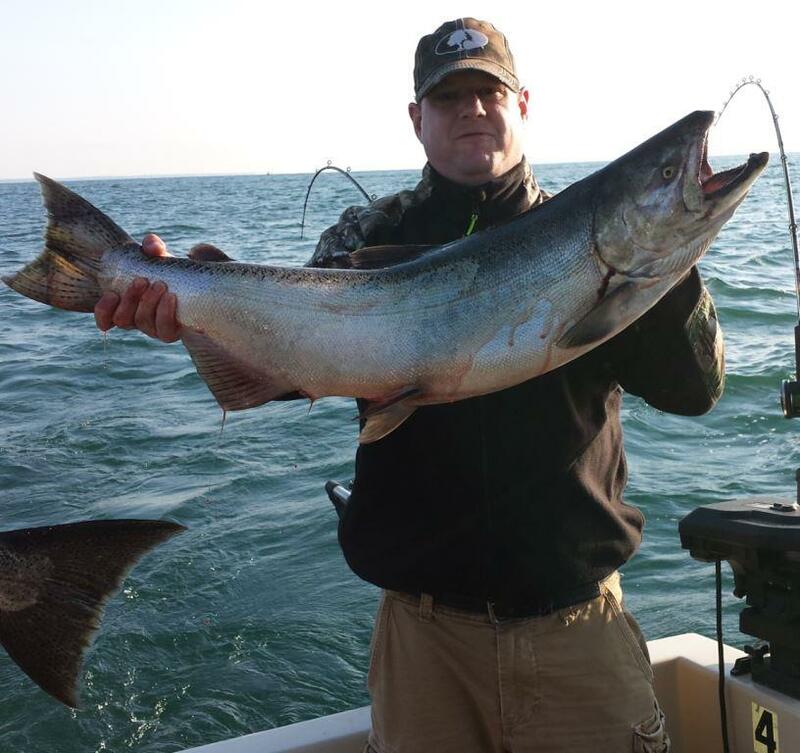 Canadian Neighbors Have a Fun Day of Catching Fish on Lake Ontario! On Tues., Aug. 7th, the Brian Willmott party chartered with Milky Way Fishing Charters.